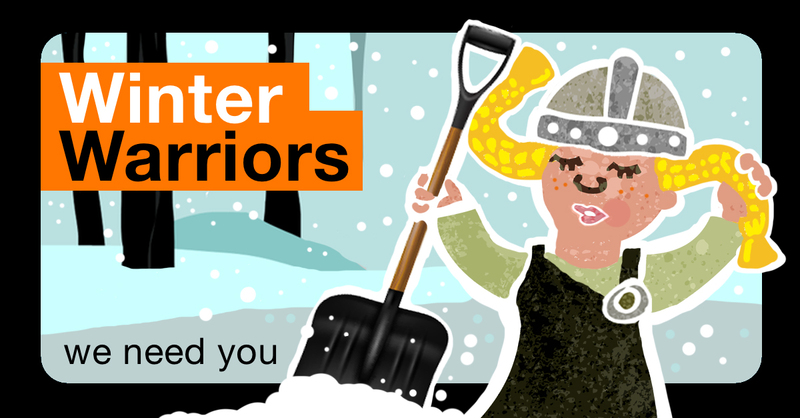 After last year’s ‘Beast from the East’ generated so many examples of people helping each other out, this winter we want to find our #OldhamWinterWarriors and say thank you to them. The coldest season is upon us and despite milder than average temperatures the threat of severe weather means that a deep freeze for the residents of Oldham is still a real possibility. After last year’s ‘Beast from the East’ generated so many examples of people helping each other out, this winter we want to find our #OldhamWinterWarriors and say thank you to them for helping their families, friends, neighbours, colleagues, patients or service users to get through the coldest season with a warm smile and a helping hand. Our communities are full of amazing individuals who go the extra mile, whether that be at home, at work or in their local neighbourhoods. And we want to tell their stories, acknowledge their efforts and say thank you for the little things they do that make a big difference during the colder months.